I have never been a person who loves the weather come colder months. Living in the Midwest, it gets brutally cold, rainy and snowy, and it stays that way for an eternity (or eight months, but what’s the difference?) There is hardly anything to love about this dreary weather so I have found myself to appreciate the little things. And by little, I mean riding boots! 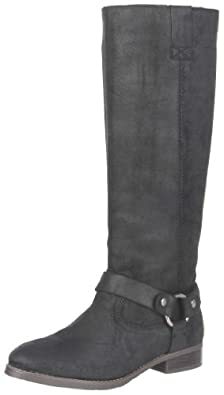 Think about it, when it's getting cooler outside, riding boots are the answer. These footwear kings are the answer to cold weather, style conundrums and a true blessing as I see it. My boot collection is in need of some changes this year (and inevitably some staples as well) because I have found that every boot I own is black. Indeed my collection has variety: ankle boots, knee-heigh, over-the-knee, suede, leather, flats, and heels. But right now I am craving something new. Something that is of the moment and chic: riding boots. How to style them: with jeans, a comfortable sweater, a scarf for chilly days, and your everyday go-to bag! 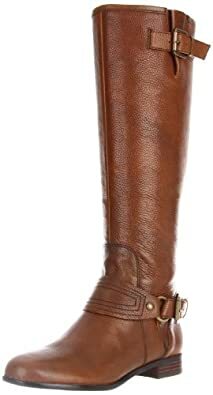 What do you think about riding boots? Are they the boots of the season? I'm not convinced.... these boots don't seem good for romping around in the snow!! BUt...I guess i will true u....since i just ordered them for my sister.